The problem with listing the 5 best James Stewart films is that there are many more than five. But this month’s theme is the “5 Best” and I’ll stick to it. I don’t like it, though. One of my all-time favorite movies, Anatomy of a Murder (which features a superb Stewart performance), wound up as an honorable mention. 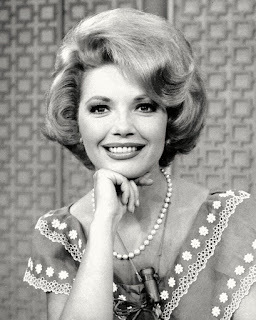 And I am ready to incur the wrath of fans of The Philadelphia Story. 1. Vertigo – Stewart did his best work in the 1950s, often playing down his natural charm to portray obsessive, driven characters. His finest acting came in Hitchcock’s masterpiece, where we watch a typical Stewart “nice guy” evolve into a man obsessed with an illusion. Contrast Scotty’s (Stewart) playful banter early on with Midge with his climactic confrontation with Judy—his eyes ablaze with confusion, hate, and something akin to love. It’s a brilliant and chilling transition. 2. Rear Window – As injured photographer “Jeff” Jeffries, Stewart played a character that seems like a natural progression to Vertigo’s Scotty. Jeff is charming and likable, but his “hobby” of spying on his neighbors masks a subtle obsession with voyeurism. Stewart explores the shadows of Jeff’s personality, but never goes too far. We may question Jeff’s motives, but we always root for him. 3. It’s a Wonderful Life – Its frequent showings may have diluted its impact and Stewart’s brilliant acting job as George Bailey. However, Stewart’s post-World War II performance revealed a new maturity and depth that enable him to capture George’s desperation and passion. Those elements were present in earlier Stewart films, in particular Mr. Smith Goes to Washington, but not to the extent that the actor channels them here. 4. Winchester ’73 – Any of the five Anthony Mann-James Stewart Westerns could fall into this slot, but I opted for Winchester ’73 simply because it was the pair’s first collaboration. In all of his Mann films, Stewart plays a loner with a dark past who is redeemed by love, friendship, and/or community acceptance. These grim, hard men are a stark contrast to the easygoing Tom Destry from Destry Rides Again and proof again of Stewart’s acting versatility. Honorable mentions: Anatomy of a Murder, Mr. Smith Goes to Washington, Destry Rides Again, and The Shop Around the Corner. 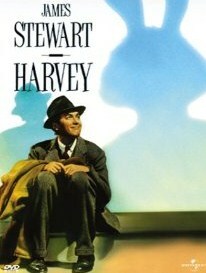 Thanks for mentioning 'Harvey'; it's really one of Stewart's best, most subtle, and deeply nuanced performances (besides being very funny). What's interesting to note about Stewart's post-WW2 performances is that this is the era when he was no longer contracted to a studio but was freelancing and choosing his own parts. So maybe that accounts for the depth and commitment he brought to his performances then, since these were roles that he could choose for himself. A few years ago I shared "Winchester '73" with my youngest sister (16 years my junior). She was impressed, but her reaction "Jimmy Stewart made westerns - who knew?" was quite a blow. I certainly let the side down on that one. I admire your ability to stick to your guns and only five titles. There will be no clucking of the tongue or mention of "The Shop Around the Corner" or "Destry Rides Again" from this quarter. I agree with all of your choices. Vertigo was his greatest in my opinion, Harvey a tremendous favorite -- well, all of them are great performances. Considering your honorable mentions, I can't think of any better. I sympathize with your plight, but it was your idea! I'm working on my 5 Best Death Scenes, and I'm tearing my hair out. Thank heaven for being allowed to do honorable mentions! I've seen most of Stewart's films, but I only just recently saw Winchester 73. I'm not sure why it took me so long to watch this film. It's fantastic! Especially the confrontation between Stewart and Duryea near the end of the film. I think Stewart is one of those actors where I can enjoy even his bad films, but for the most part, he had pretty good roles during his long career. Completely agree with "Vertigo" being up there. It's a masterpiece. 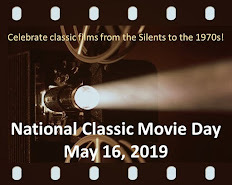 I think some actors were or are fortunate enough to play a variety of roles, and Jimmy Stewart, in spite of his trademark qualities (i.e., that remarkable voice), he provided each role with a distinctive characteristic. A Best Of list for Jimmy isn't an easy task, and if I made one, I'm sure it would likely change the next week. I can't argue with your list, but I will say that I believe an underrated James Stewart performance is Hitchcock's ROPE. Certainly not Hitch's best, but I think Jimmy is topnotch in it, and I especially love the moment when his character realizes what the two young men have done -- his facial expression is sheer perfection! A superb list and wonderfully descriptive notes for each movie. Notice that I said these were my favorite performances. A list of the ten best would probably contain the same films but in a slightly different order. When I made a list of the greatest performances by an actor a couple of months ago, the Stewart performance I chose was "It's a Wonderful Life." The only other film I considered for this was "Vertigo," but went with "Wonderful Life" because for me it's the quintessential "Jimmy Stewart" role. By the way, I'm wondering if "best James Stewart movies" and "best James Stewart performances" are the same. Maybe I'm taking the wording too literally, but to me these are different things. For me the best James Stewart MOVIE would certainly be "Vertigo." I love the polls at the Cafe but often face the same dilemma when it comes to choosing a favorite movie by someone. I usually go with the literal interpretation and choose my favorite movie, which isn't necessarily my favorite performance. My greatest joy at the Cafe is reading what other film fans have to say. Thus, it was delightful to peruse these comments on Mr. Stewart. What I listed were indeed what I consider his five best performances, so I've changed the title of this post. If it was the five best movies starring James Stewart, then ANALTOMY OF A MURDER would have been in the top five--instead of just an honorable mention. In addition to all the fine James Stewart performances list above, I also wanted to mention the one in FOOLS' PARADE, perhaps the best of his later performances. The film is uneven at times, but I remember enjoying it. Too bad it's seldom shown (but has been on TCM) and isn't on video. Rick, If I were to post a 5 Best James Stewart Performances. My list would be the same.. I would have to find a way to include "The Man Who Knew Too Much" in a top five list. But I guess if you're gonna go Stewart/Hitchcock, you really can't top "Vertigo" and "Rear Window." My list is close, but Rear Window would be in the number #1 spot. I'm surprised The Glenn Miller Story didn't make the cut in the honorable mention department. Strategic Air Command is another film that should have an honorable mention. This is an excellent Cafe blog! It really does make one think when considering performances and films. I think your list and honorable mentions is filled with Stewart's finest performances, Rick. Like you, I would place "Anatomy of a Murder" higher if considering the entire film. Stewart was a gifted actor and we have been blessed by his work.